A Bobby Hurley personal appearance, Bobby Hurley speaking engagement, or Bobby Hurley endorsement will reflect well on your company. To hire Bobby Hurley now for any corporate appearance, fundraiser, motivational speaker event, personal appearance, autograph signing, or website endorsement please contact our celebrity agents at 1-877-6-SPORTS. We will contact Bobby Hurley or contact Bobby Hurley's agent and provide you with the booking fees and availability immediately upon your request. Direct Sportslink is the only sports speakers bureau and talent booking agency based in the United States securing only sports talent for corporations, associations, and organizations for motivational speaking engagements, personal appearances, and endorsements. We are the premier sports celebrity booking agency and a sports celebrity procurement expert. Accordingly, we will provide you with any relevant Bobby Hurley website information and booking agent details so that you can hire Bobby Hurley for your next event. Bobby Hurley was a point guard for Duke University's men's basketball team from 1989-1993. He was a first-team All-American in 1993, went to the Final Four three times, and led the Blue Devils to back-to-back national championships in 1991 and 1992, earning Final Four MVP honors in 1992. Hurley played with many Duke greats including Grant Hill. His Duke jersey number #11 was retired in 1993. He has been considered one of the greatest point guards in NCAA history. 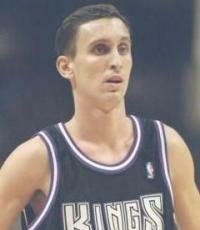 Hurley was selected by the Sacramento Kings as the 7th pick in the 1993 NBA Draft. While returning home following a game in December of his rookie season, Hurley got in a car accident that nearly derailed his NBA career and took his life. After recovering, he returned to the NBA for the 1994-1995 season, and played four more years beyond that. After retiring, Hurley went on to become a thoroughbred racehorse owner and breeder. 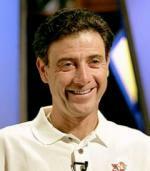 He was also hired as a scout by the Philadelphia 76ers in 2003, and has expressed coaching aspirations. On April 13, 2010, Wagner College, announced that Hurley was hired as an assistant coach for the men's basketball team. 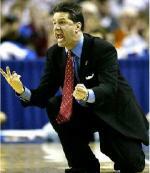 Hurley joined his younger brother's coaching staff. In 2012, the Hurleys took coaching positions at Rhode Island. Based on your interest in Bobby Hurley as a speaker or for a personal appearance, Direct Sportslink has provided you additional links below for other sports talent with similar appearance fees, speaker topics, and categories that match Bobby Hurley.